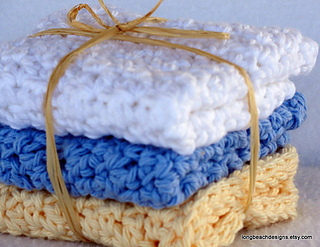 Soft, absorbent and attractive dishcloth sets to crochet for friends and family. Super quick and easy project. 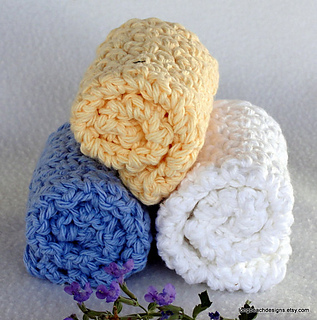 Attractive textural stitch with good stitch definition and practical usage. 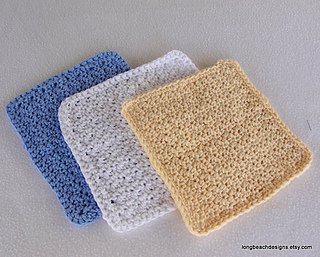 The completed dishcloth measures 6 1/2 inches square. 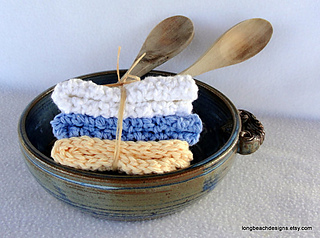 Great for hand washing and quick mop ups. Pattern utilizes worsted weight yarn. Familiar stitches and concise directions with detailed photos. Online support whenever necessary - just email me and I will get back to you within 24 hours. All questions, concerns or pattern dilemmas are welcome. Please do not hesitate to contact me for any reason whatsoever regarding the execution of this design.